Gone are the times when desktops are the only touch point devices – smartphones have changed the game. Nowadays, the majority of search begin on mobile and users have become used to the instant connection they get with a brand’s online presence. No matter if you are on the go or at home, mobile devices are becoming more and more paramount for people as a primary device. When it comes to devising mobile strategies, there are many brands who still think thousand times to develop their own business app. At this scenario, most companies understand the real importance of a strong mobile presence, and investing in mobile app development is not always the easy decision. The growth of mobile apps is massive and it’s been predicted that the number of mobile users will reach 4.77 billion. And it is obvious that you need an impressive mobile presence but how does your brand know whether or not mobile app development is the right step for your business. If you are investing your time and efforts to design a mobile app, you need to make sure that it’s going to be a worthwhile endeavor for your brand. But prior to taking the step of mobile app development, it’s critical that you first need a website that is mobile-optimized. A responsive website design is the most important step to take before you design a mobile app. A mobile design adapts the screen size, ensuring that the onsite user-experience is never sacrificed. Without this mobile optimized design, users are often experienced a website layout that required zooming in or out, scrolling, sections that are difficult to click or display fields that are too small. Does Investing in Mobile App is the Right Move for Your Brand? When it comes to figuring it out whether a mobile app is the right fit for your company, it is important to consider that there is no one size fits all. But if truth be told, there are some areas of consideration that should help brands to get started on the right direction. Functionality: Figure out are there some unique design elements that users will not be able to find on your business website. Convenience: Figure out will your customers be likely to use your business app on a consistent basis? Will your app offer convenience and ease for engaging with your band? Marketing: Do you have enough budget and resources for mobile app marketing? Here I’ve discussed some brands that demonstrate these best practices when it comes to mobile app development and are indeed amazing examples of not only beautiful mobile app design, but are actually successful mobile apps that engage users. Since, these brands are entirely different from each other, we can learn a lot from the guidelines and strategies they followed. If your mobile app has the same features, benefits and functionalities as your desktop website, users will show no interest to download it. Content present in your app must be different from your website, no matter if it’s a special feature for users or any unique design element, there should always be something unique that makes your app stand out. If we take it from users’ perspective, an app needs efforts and real estate to offer something unique that catches users’ attention. When you are in the design and development phase, it is advised to start with a minimized version of your website, so that you can iterate according to the needs of the users. 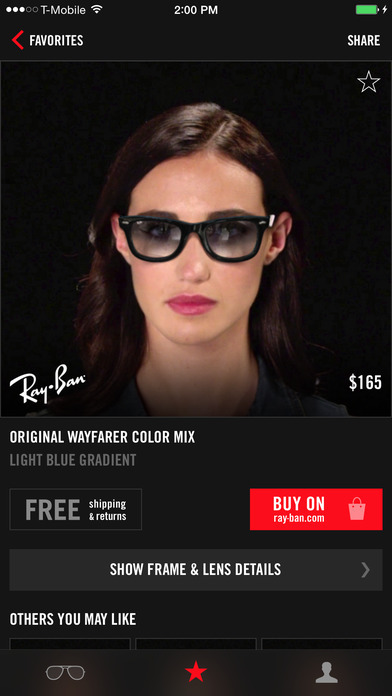 Let’s take an example of Ray-Ban here: it beautifully integrates unique and exclusive functionality into their app design. The brand offers a myriad variety of sunglasses and eyeglasses and these products are usually difficult to find online. But the virtual try-on feature is awesome. Users can take a picture of themselves by wearing any single frame that the brand sells, allowing customers to determine which they find most fitting for their face and style prior to making the decision to buy the product. This unique feature takes the idea of offline and physical store shopping to the real world of mobile app shopping. Believe it or not, mobile apps have a very short shelf-life and if they are not used on a regular basis, they are likely to be uninstalled from users’ phones. While making a decision whether or not investing in a mobile app for your business is a good decision or not, it is important to keep in mind your target audience and how likely they will be to regularly engage with your app. Customers open an app only when they are looking to consume content, buy a new discount offer, book a favorite restaurant table, or engage with brand in some way, if your app fulfills their desired needs, you are on the right path. Let’s talk about Zeel here: customers can enjoy this app in the comfort of their own home. For regular customers, the app makes it much easier to book a message whenever they want to schedule one. With this app, all options required when booking are remarkably easy to fill out and complete the corresponding forms. Most of all, scheduling the appointment is not a big deal at all. When users download the app and log in with all their important information, all the information automatically saved making it time-efficient to use. Moreover, the app offers a convenient way to book their appointments and is likely to be the easiest way to do so. Mobile apps are the most effective way to connect with your audience, setting aside a particular budget for your business app can be difficult. Mobile apps are expensive, and it needs time, determination and extra efforts for marketing your app. You might have an engaging, beautifully designed app in the world, but if your audience is not able to find it on play stores and doesn’t know about it, then what’s the point of developing it. Mobile app marketing is as important as marketing of your brand. Each organization has certain platforms that work best or specific channels where audience engagement is best. To drive more downloads, it is important to emphasize the value proposition at hand and the right audience at the right time with the right marketing tactics. The strategy Urban Outfitters used for their app marketing is outstanding. They got a massive increase in downloads with their strategic approach. 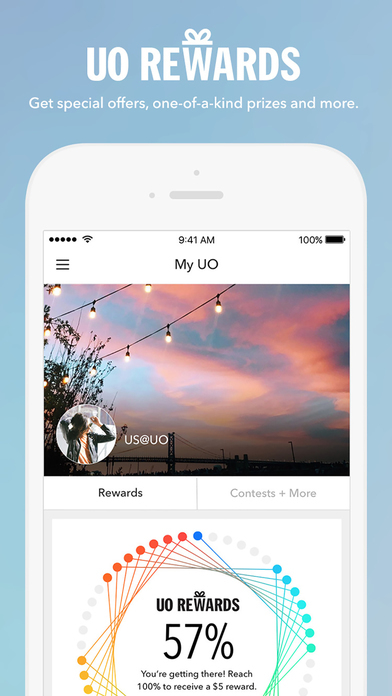 The brand offers reward program UO Rewards that allows users to access all products related to loyalty group right from the app. Users receive special privileges and amazing offers such as contests, sale, events – only when they use the app. In addition to the reward program, the brand also promotes their app in their email marketing campaigns and place an extra discount when customer make a purchase through the app. The UO Rewards program landing page clearly states the steps required to join and has an entire section about the advantages of using the app. Mobile apps can be one of the most valuable ways to engage with your audience on a regular basis. But in order to generate success for your brand, it is important that you have a well-defined mobile app strategy prior to getting started with your mobile app design. It is important to ensure that your app will be used regularly, for this you need to offer something unique and valuable, you must have enough resources, and budget to effectively promote your app. Or simply hire a mobile app development agency that can help you come up with and awesome mobile app with a unique functionality that can make your audience to download and use your app on a regular basis.